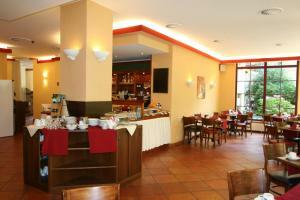 This hotel offers spacious rooms and suites with kitchens and high ceilings. 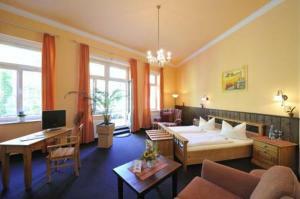 It is situated in a traditional building in Dresden’s Neustadt district, a 4-minute walk from the River Elbe. All accommodation at the AHA Hotel is non-smoking. Cable TV and private bathrooms with hairdryers are provided. Many rooms include a balcony, and Wi-Fi access is available. 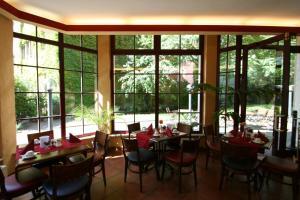 The AHA’s Café-Bistro and garden terrace invite you to relax with a glass of wine. Many bars, restaurants and discos are within walking distance. 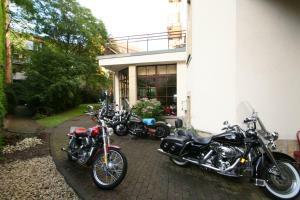 Rental bicycles are available at the AHA Hotel in Neustadt, and a car park is directly opposite. Pulsnitzer Straße Tram Stop is less than 100 metres away, and provides a direct connection to Neustadt Station.